I like to think that pretty much everyone in society is in agreement on this: violence against women, gender-based violence, and violence in general, is bad. So why is something that’s generally agreed to be bad so prevalent? Why does one in three women worldwide still experience physical or sexual violence at some point in her life despite decades of initiatives, campaigns and advocacy against the problem? What can we do when it seems like the scale of the issue is matched handsomely by the inactivity in addressing it? Around 30 people joined us on Tuesday 13th June to discuss questions like these in the final discussion night before FCA takes a break from these events for summer. The event was organised in collaboration with Emancipator.nl, an NGO working on addressing the root causes of gender inequality by engaging with men and boys and transforming harmful masculinities. Our central question, partly inspired by a TED talk by Jackson Katz, was should violence against women be seen as a men’s issue, and how can men’s involvement on this issue help? Emancipator’s director, Jens van Tricht, introduced the evening and some of the work his organisation does, including the IMAGINE project, which discusses gender stereotypes, harmful ideas about masculinities, and sexual harassment and violence with groups of boys. These sessions are run by male peer educators, with the aim of acting as role models who can create a safe space for boys to talk about their experiences – if you’re interested in taking part contact Jens on jens[at]emancipator.nl. I should also give a shout out to MenEngage, the global coordinated alliance of more than 700 organisations – like Emancipator – working towards gender equality with a focus on men and boys. The short MenEngage video, which we watched before starting the discussions, says much more than I can here so I encourage you to check it out. We then split into smaller groups for discussions, starting with where men fit in the picture of violence against women and exploring the systemic and structural roots of male violence. We acknowledged that violence is not only directed at women by men, but we face a much more complex picture in which violence is both a manifestation and constituter of deeply embedded power structures. These power structures are maintained by and benefit men, with women (and anyone expressing anything considered feminine) being at risk of oppression that takes many forms including physical, sexual and psychological violence. I personally feel that any discussions on this topic inevitably end up at the fundamental questions of what gender is, how it is constructed, and whether it is even useful to talk in terms of a gender binary. At some point I feel like I’ve arrived at an intellectual dead end; what practical solutions exist to a problem that begins at the intangible origins of society and culture? Especially when most men – and perhaps most people – do not recognise the systemic origins of such issues. Well, thinking up practical solutions was the point of the next two parts of the discussion. Firstly, what practical interventions can be made if you witness abuse, such as in the street, in your community or family. Being present, interrupting violence (such as the ring the bell campaign) and vocally condemning violence were some of the many suggestions. Yet we also discussed how intervening might inflame a situation, so being able to judge the situation is key. Importantly, we must do whatever we can do to break the cycle of silence and not allow misogyny to continue to be normalised – and engaging men in doing so is a huge challenge. So how do we engage more men on this? This was our final discussion point, in which the groups were asked to come up with ideas ranging from the good, to the bad, to the impossible. Impossible ideas included firing all men from their jobs, or campaign on this for 365 days per year. I’ll let you decide on the feasibility or usefulness of those. Other more practical ideas included creating an educational curriculum and applying political pressure to mainstream it, or creating an experiential theatre piece for people to experience the intimidation of gender-based violence. As well as some creative ideas for intervention and engagement, we agreed to continue working together on ideas for a campaign as part of the 16 days of activism against gender-based violence, which take place each year from International Day for the Elimination of Violence against Women on 25 November and Human Rights Day on 10 December. 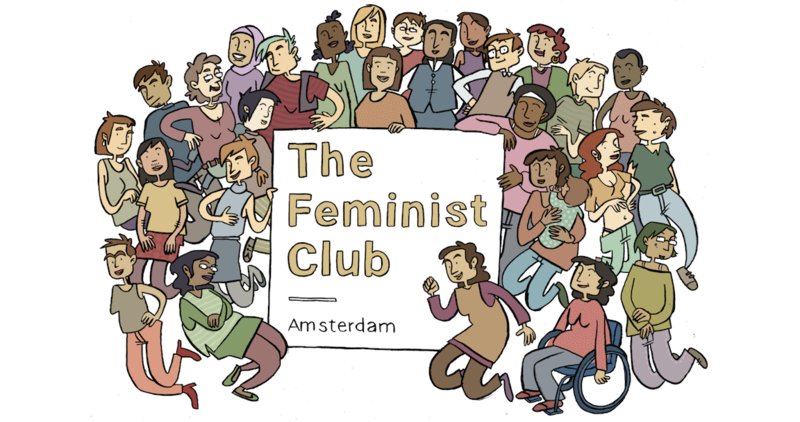 We also saw the start of a fun and exciting link between Emancipator and knowmads.nl, an organisation that offers training and workshops on successful activism, with a potential lecture on engaging men in ending gender-based violence in the pipeline. Since we have some time until November, plus lots of energy and enthusiasm from so many people who attended, hopefully we can come up with impactful ideas to take forward. If you want to be involved in planning, promoting or running a campaign in November, email me on tom[at]boyfeminist.com.